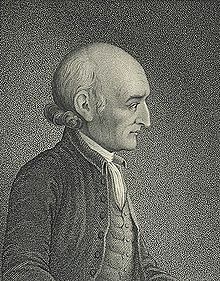 George Wythe (1726 – June 8, 1806), was a lawyer, judge, prominent law professor and "Virginia's foremost classical scholar." Wythe was one of the seven men from Virginia who signed the United States Declaration of Independence. Wythe served as mayor of Williamsburg, Virginia from 1768 to 1769. In 1779 he was appointed to the newly created Chair of Law at William and Mary, becoming the first law professor in the United States. Wythe's pupils included Thomas Jefferson, Henry Clay, James Monroe, and John Marshall. This page was last changed on 4 May 2014, at 17:32.